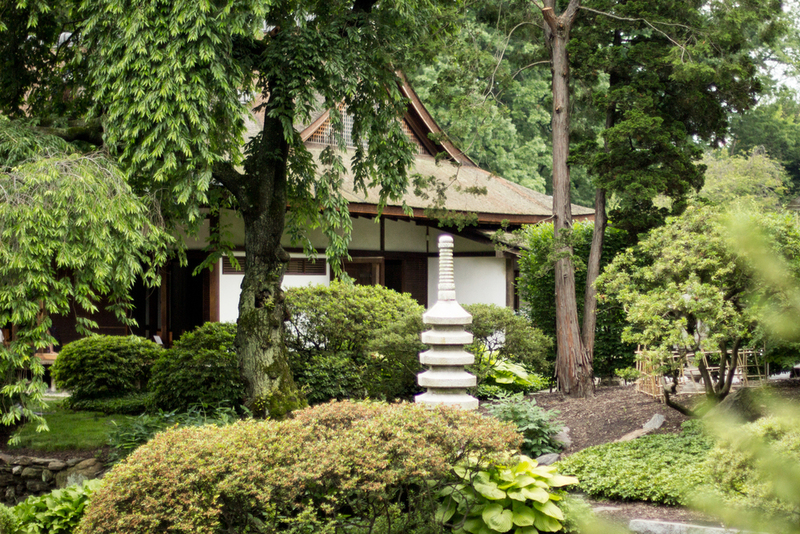 We recently spent an afternoon exploring the Shofuso Japanese House and Garden, located at the Horticulture Center in Fairmount Park, Philadelphia. 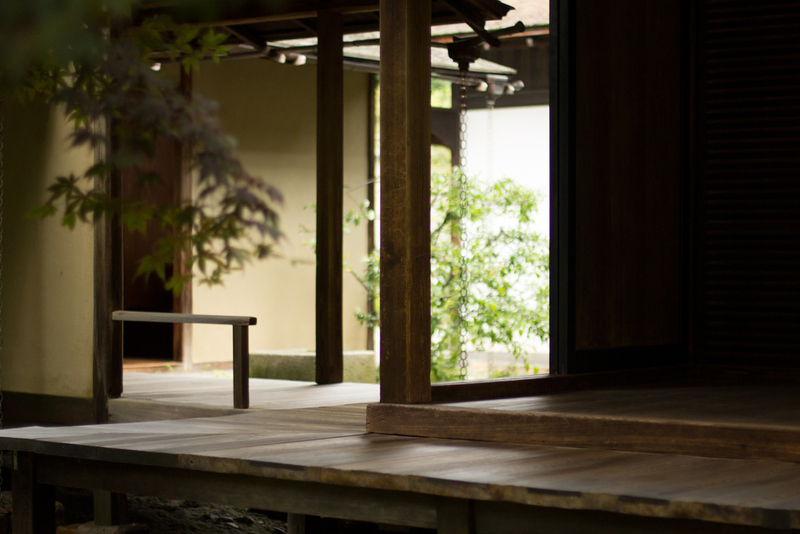 This 17th century Shoin-style house provides visitors with an authentic Japanese experience. Shofuso was built in 1953 as a symbolic gesture of post-WWII friendship between Japan and America. Designed by Japanese architect Junzo Yoshimura, it was constructed using traditional Japanese carpentry techniques and materials. After being exhibited as the third (and most popular) installment in the Museum of Modern Art's "House in the Museum Garden" series in New York, the house was moved to Philadelphia and reconstructed in 1958. Japanese architecture was introduced to America mostly through exhibitions at World Fairs. The Centennial Exposition at Fairmount Park in 1876 lead to the first Japanese architectural boom in the United States. Traditional Japanese architecture was particularly relevant to Western modernism in promoting a flexible plan, a close relationship between indoor and outdoor spaces and highlighting the decorative quality of structural materials. When entering a Japanese home, it is customary to take off one’s shoes. This tradition promotes cleanliness and protects the traditional tatami mat flooring (which is easily damaged by footwear). 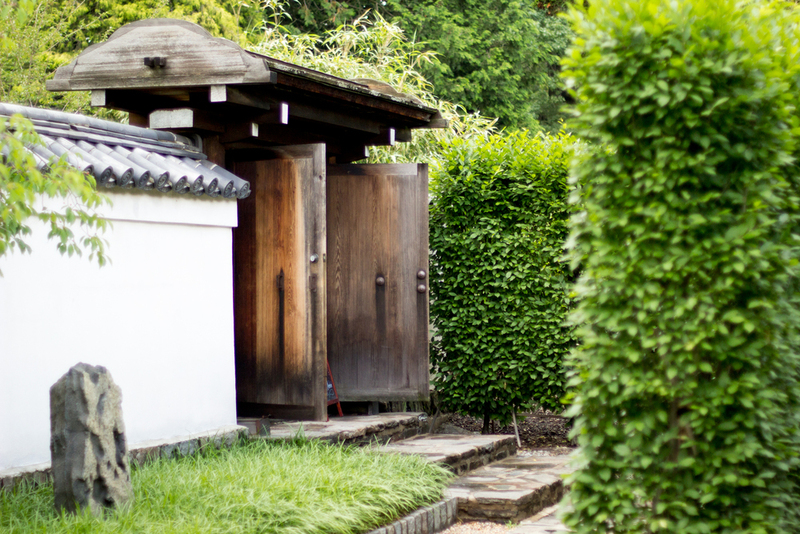 Japanese etiquette emphasizes the difference between public and private spaces. Removing one’s shoes at the entryway is a symbolic gesture of ‘taking off’ worries and dirt from the outside world before entering a domestic space. 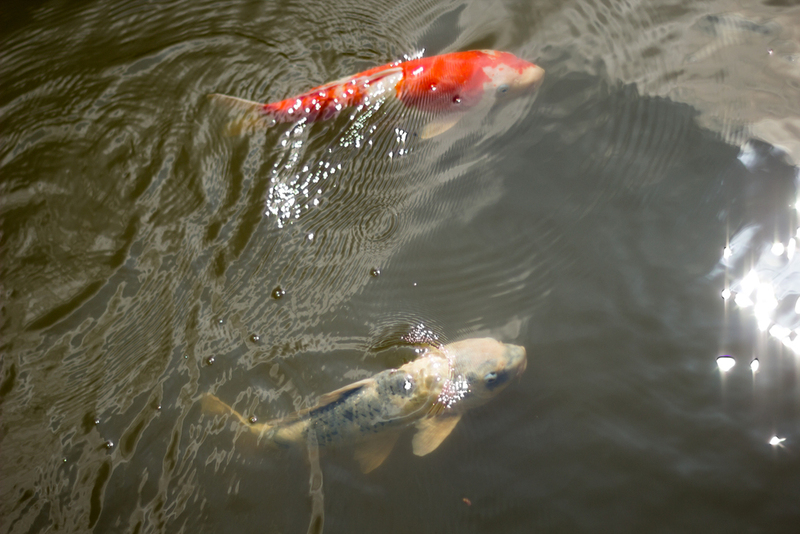 Shofuso’s pond is home to turtles and colored koi. All of the wood in the house was shipped from Japan. The Hinoki bark roof was harvested from 80 to 100 year old living trees and can last up to 25 years.